Hello, I’m Genise Heddell the Area Utility Manager (AUM) for Essex & Suffolk. There are six sites, two of which are among the 20 Ministry of Defence (MOD) sites which use the most energy. My role is about facilitating, communicating and making things happen – often using the right people on my sites to work together to achieve the MOD 2014/15 energy targets. Waste disposal by 5% from 2013/14 figures. We also have a target to send nothing to landfill by 2020. Colchester is Britain’s oldest town and the location of Merville Barracks, the second highest utility-consuming site in my area and 20th highest in the MOD. 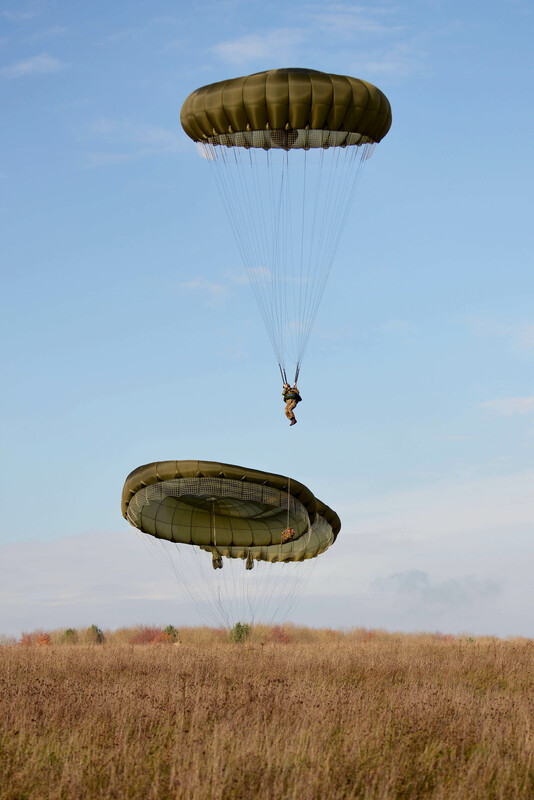 Merville Barracks is also the home of 16 Air Assault Brigade, the British Army’s rapid reaction force. Across Colchester, a project to replace and refurbish 7 Victorian-era barracks was completed in 2008. These buildings were energy and water efficient when they were built but there is always more to be done. 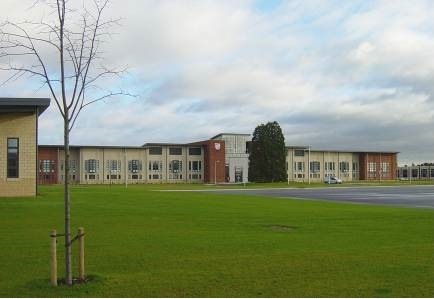 Across my area of responsibility, Merville Barracks is where the greatest utility efficiencies have been made. 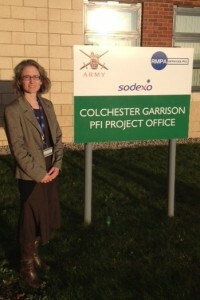 Anglian Water Business notified Colchester Garrison (of which Merville Barracks is a part) that the site’s Maximum Daily Demand (MDD) was excessive. This represents the largest amount of water they are using in a single day. I worked with colleagues from Colchester Garrison, DIO, and our contractors RMPA to resolve the issues. 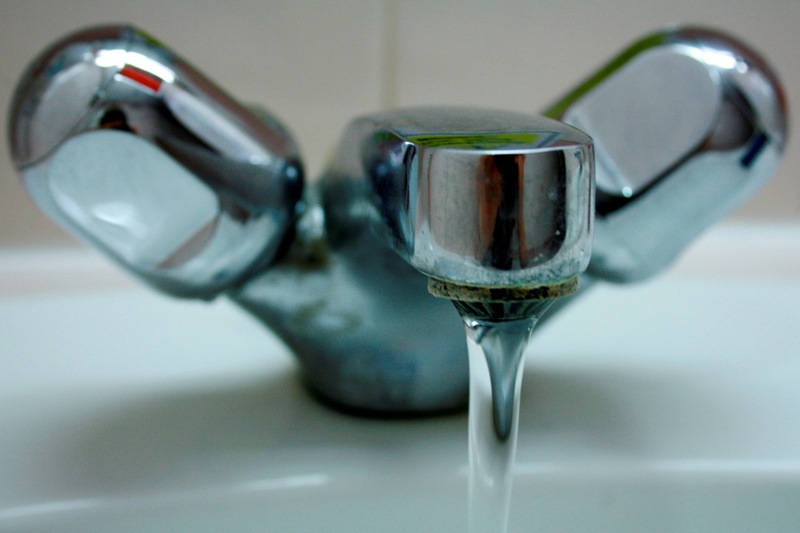 Anglian Water conducted a water survey identifying possible areas of improvement. Working together we analysed individual building consumption data, investigated possible reasons for their high consumption. One of the actions we took was installing a couple of water saving measures in the toilets. Over two years the MDD reduced from 1400m³ to 750m³. That represents savings of 275,000 litres every day - the equivalent of 3437 baths and a financial saving of over £275,000 a year! As you can see, it’s a significant saving and well worth doing. At the 2014 annual MDD review a further 200 drop in the MDD was negotiated with Anglian Water Business which will result in another estimated £40,000 pa saving. We have at team at DIO called Project Aquatrine which is the MOD’s Private Finance Initiative (PFI) to deliver water and wastewater services to the majority of military sites in the UK. They have indicated to the Garrison that it should be able to achieve an eventual MDD level of 450m³. One way of reaching this target is reducing the nightline, which is the water consumption during the night. This is when the least amount of water is likely to be consumed, and is a recognised method to identify possible leaks. 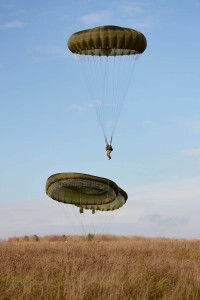 Anglian Water Business believes that a reduction in the nightline is achievable and would move Merville Barracks’ MDD closer to this 450m³ level. If achieved, this would result in a further £20,000 saving to the MOD. The Carbon Trust state that consumption can be reduced by 10% just through behavioural change, but it has to be effective and efficient use so as not to affect business needs. This is the cheapest energy efficiency option but the most difficult to implement. How do you make people care about what they are using when they don’t directly see or pay the bill? Being at work can be like being a child at home where the utilities are looked after and the responsibility of someone else. The lights come on at a flick of a switch and the heating’s on without prompting, water’s there at the turn of tap and waste is magically taken out and sorted by the fairies! I’m sure many of you tell your children “Turn that light off”, “Do you live in a barn?” and “Did you just come through that door?” However, people don’t respond well to being told off and most want to help but are unaware how their behaviour is affecting the utility bill. The most effective method of creating change is to communicate. I issue mock utility bills to sites and if possible, one to each building. This shows them just how much they are spending and makes them realise the potential savings of increased energy efficiency. I’ve established a network of energy/utility champions on sites to monitor and encourage effective and efficient utility usage. I walk around sites discussing utilities with staff - now people see me coming and are keen to tell me how they are influencing the people around them to reduce energy, which is wonderful. On the whole most people do care and turn equipment off at the end of the day. Individually we need to take responsibility for how we use and manage utilities at work and home. The easiest solution is to use less, think about when you use energy and water and how you are disposing of waste. With a growing world population, decreasing fossil fuels and only 10% of the world’s water that is drinkable I am passionate about how energy and water is used and how it will affect the world’s environmental, economy and security future if we don’t.